1. You add a completely new and valuable dimension to your archive. 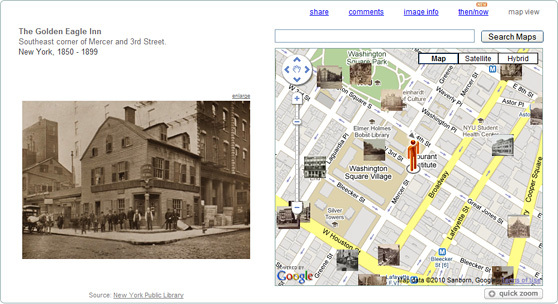 Uploading to SepiaTown transforms your files from a collection of images to a dynamic virtual tour of your area's past, increasing the interest level and value of your archives for your patrons and community. 2. You greatly expand the web presence of your collection and institution. Sharing material through SepiaTown gains your archive and institution a new, ever-growing, international, and multi-generational audience. SepiaTown enjoys visitors from all across the globe interested in history, geography, and photography (with other forms of media to follow). Our attractive, intuitive interface allows users to jump from Paris to New York to Fairbanks, Alaska in seconds. Add your home town to our collection and instantly be seen on a global platform. 3. You bring a larger audience to your virtual doorstep. Each image you upload to SepiaTown can be accompanied by a link back to your own website. You can set this link to any page you choose, be it your homepage or the image's page where additional information is displayed. 4. You make your material more likely to be found. Each image you upload gets its own dedicated page with a permanent URL and descriptive, search-engine-optimized content. This means your images are more likely to be found high on internet search results and have a clear and detailed listing when they do. detailed listings on search result pages. 5. You instantly add community-building Web 2.0 elements to your collection. Each image you upload to SepiaTown gets its own comments section and a "share" link that allow users to add their insights and share your images via a large array of social media services with a click of the mouse. 6. You will reap the benefits of SepiaTown's development. Your participation is an essential part of SepiaTown and we are committed to continuing to develop ways to make uploading to SepiaTown a rewarding pursuit for your institution. SepiaTown is still in its infancy and in the coming months and years will be growing in its scope and offerings. Future planned developments will greatly enhance both user experience and benefits to its contributing members. An enhanced member presence within the core SepiaTown website, greater community interaction opportunities, embedded SepiaTown technology for member websites, more options for uploaded media types, a mobile experience, and even opportunities for members to generate revenues by leveraging their archives are on the docket. 7. 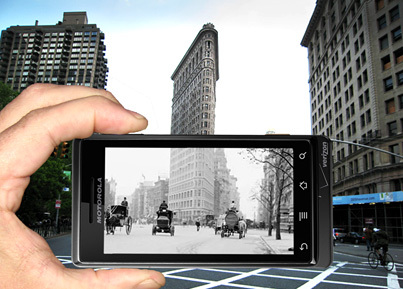 You solve image location mysteries in your collection. Just as jigsaw pieces become easier to place as the puzzle is filled in, each image mapped on SepiaTown adds information to its surrounding area, adding valuable data to the images in your archive. 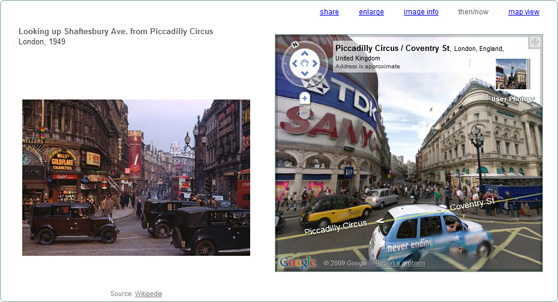 Our unique interface allows for qualitative cross-referencing of image locations, so you can start filling in some of the informational blanks in your collection. Your core mission is archiving and communicating history, not developing complex web applications. Upload your material to SepiaTown and offer your patrons a rich, one-of-a-kind, geo-spatial historic experience and save your time, effort and money on your core mission of developing your collection.